Zitan deep bowl. Qing dynasty, 18th century. 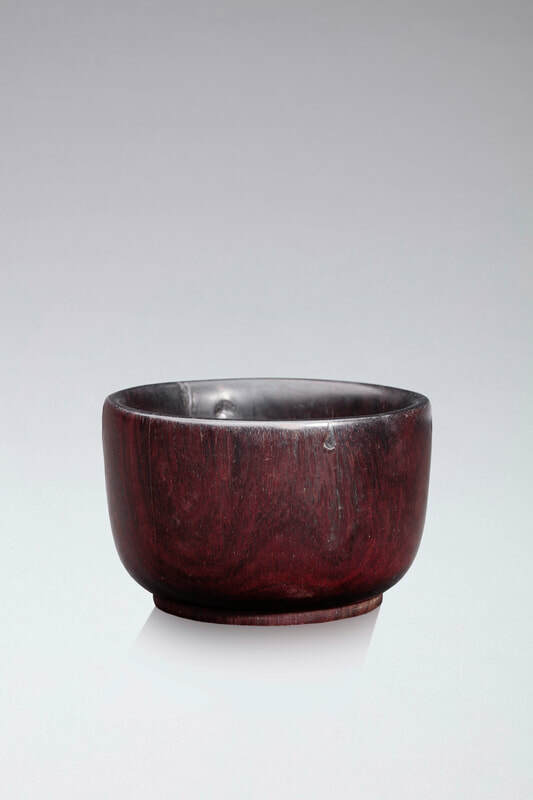 A heavily turned, small and deep U-shaped zitan bowl with a rounded lip and raised foot encircling the recessed base. 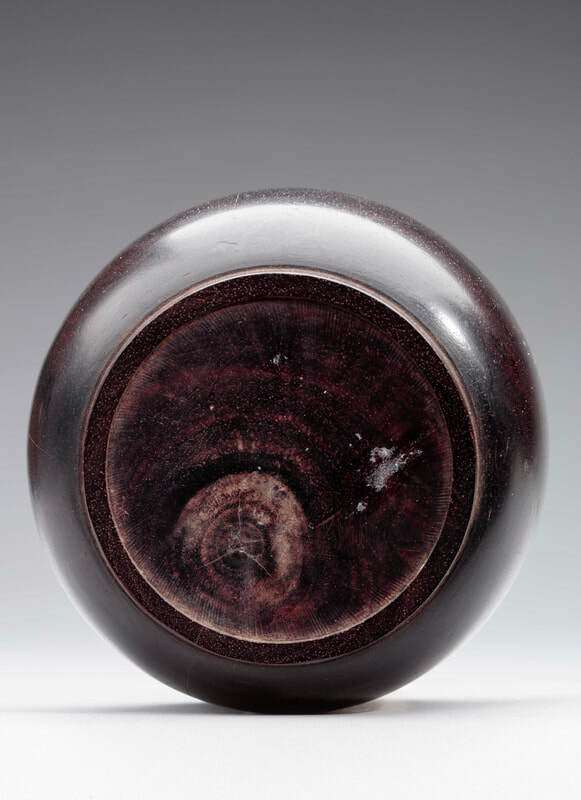 A comparable, but probably slightly earlier, bowl is illustrated in Marcus Flacks, Custodians of the Scholar’s Way: Chinese Scholar’s Objects in Precious Woods(Rasika, 2014), 185–86.